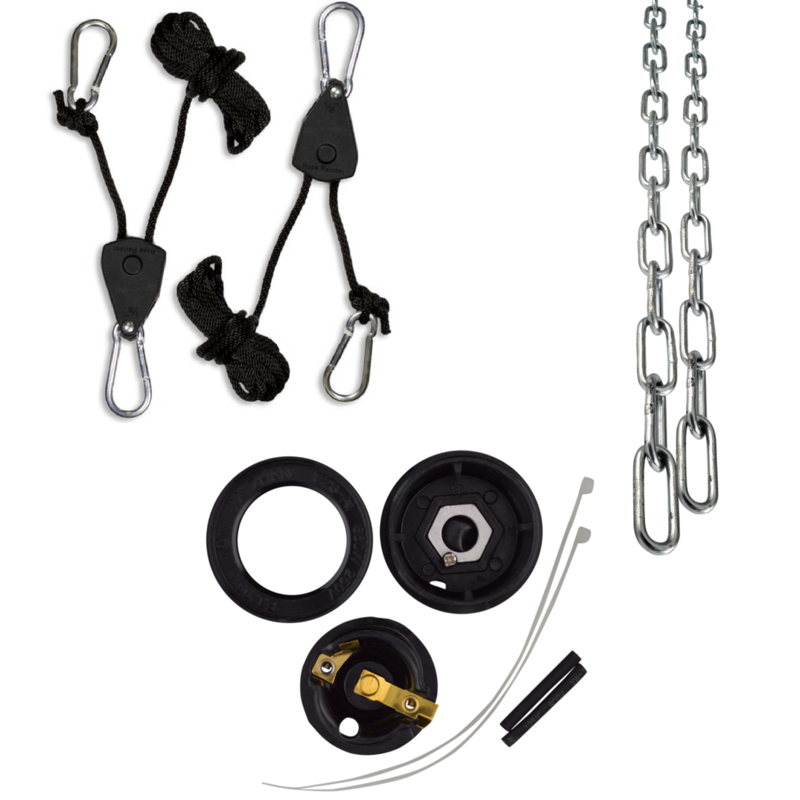 Shop rope ratchets, hanging chains, replacement sockets, and more! Purchase a replacement socket (or a spare one), convenient rope ratchets, a wall adapter and surge protector, or a sturdy sauna lamp hanging chain to use with your Sauna Fix® near infrared sauna lamp. Each Sauna Fix NIR lamp comes with adjustable rope ratchets, but you may want to buy an extra one or use silver sauna lamp chains instead. Hang your Sauna Fix lamp with these over the back of a door, inside a shower, or in your exercise room, or ensure optimum safety and durability of your Sauna Fix and continue enjoying the best possible near infrared sauna therapy and detoxifying your body for years to come. This hardware provides additional versatility in Convertible and Hot Yoga Exercise NIR Sauna Tents and enables you to lay down, sit, or stand in the sauna. All accessories are made of non-toxic, RoHS certified materials to complement the Sauna Fix, the most powerful near infrared sauna lamp in the market. Purchase an extra or replacement socket to use with the 2015 Sauna Fix® near infrared sauna lamp.